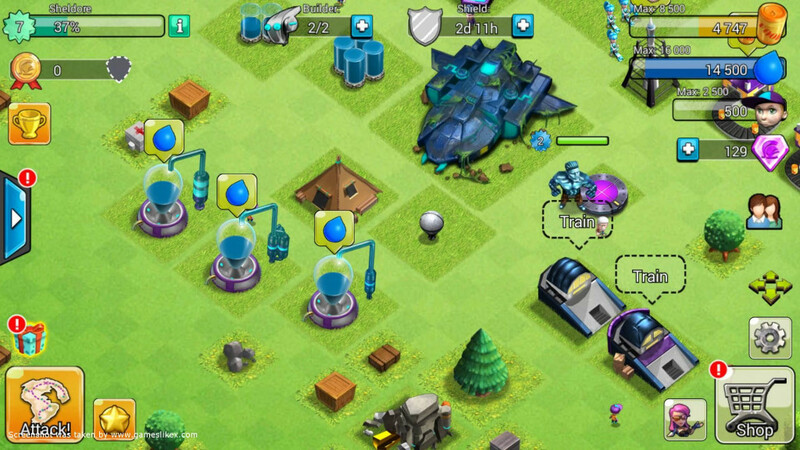 ‘Boom Beach’ is one of those games that slowly grow with you over time. The management and simulation aspects of the game manage to keep you hooked for the most part and has hence gathered a sizeable audience worldwide. However, this is not the only option available to you when it comes to camp and base management sims. Let’s look at some other games that have similar gameplay mechanics but also manages to separate itself through varied gameplay mechanics. 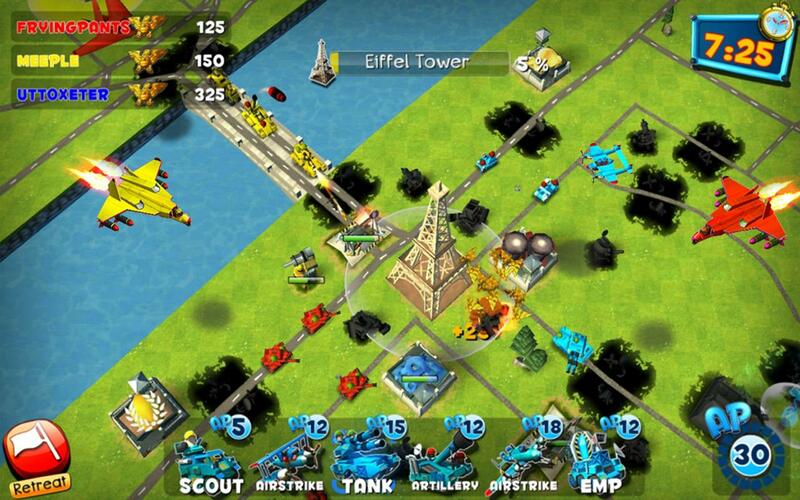 Here is the list of video games similar to ‘Boom Beach’ that are our recommendations. You can play these games like ‘Boom Beach’ on PS4, Xbox One, Xbox 360, PC, iPhone, Android, mac or even online. ‘Jungle Heat: War of Clans’ is a cross platform social game that you are able to play on any of your devices and access the same account. It is a base building and management game where you need to build a military camp from scratch in the middle of a jungle. There are two types of in-game currency in the game — one basic and one premium. The basic coins are pretty easy to come by as you complete quests and events. However, the in-game currency is really hard to come by and requires quite a bit of investment of real world money. There are timers on your building upgrades as well, so keep that in mind when starting a base. The time investments for the game are pretty high and require players to hit up the game at set points in order to reap the most benefits. It is quite possible to build a sprawling base without investing a single penny but you need to be extremely consistent in that case. In addition to that, you are also able to join clans with your friends and take part of battles in order to take down enemy bases. 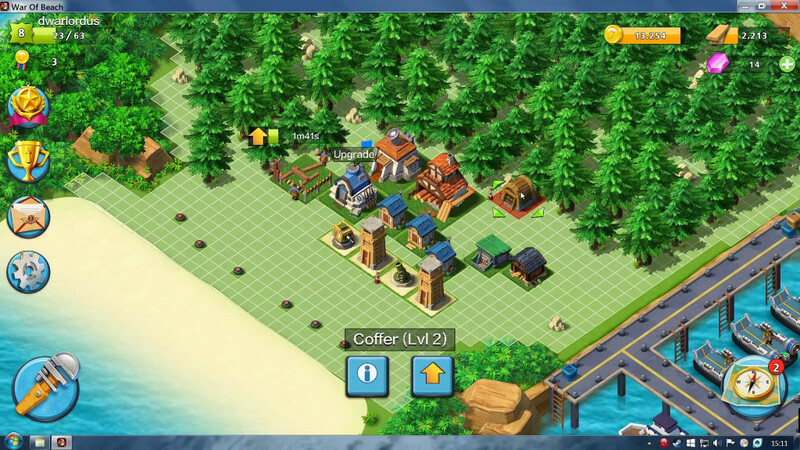 Some of the aspects are quite similar to that of ‘Boom Beach’ and hence finds its place on our list. ‘Battle Beach’ is a social base and tower defence game developed and published by Ember Entertainment for the android and iOS devices. The main motive of the game is to build a base from scratch and then upgrade the buildings one by one so that they are able to withstand enemy attacks. There are tower defence mechanics in the game well where you set up towers strategically so that they deal the maximum amount of damage to attacking enemies. In addition, you can also form clans with your friends and take part in raids to enemy camps. Once you get in to the game, it gets quite addictive and you find yourself going back to play it frequently during the day, even if just to upgrade a few hours. The towers in the game range in variety and have different effects on different enemy troops, so a certain amount of strategy is involved not only when placing them, but also when upgrading them. 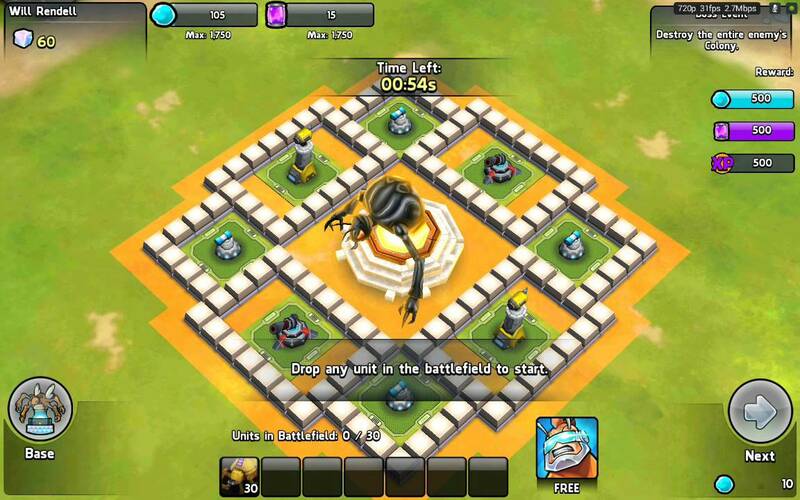 There are various similarities to the gameplay mechanics of ‘Boom Beach’ to the point that one can be called a clone of the other. 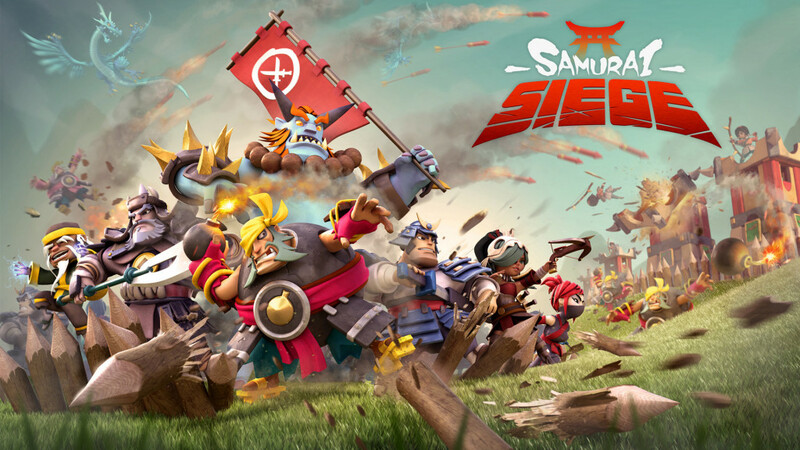 ‘Samurai Siege’ is another game that plays very similar to that of ‘Boom Beach’. 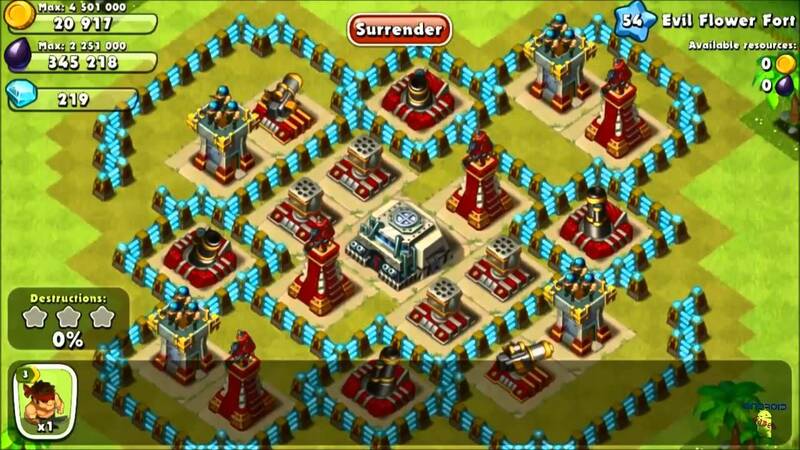 The purpose of the game is to build and upgrade your village into a mega stronghold. It is set in a Japanese world where you need to recruit samurais and ninjas in order to defend your base. These range from basic ones who are able to perform only one type of attack as opposed to the really good ones late game who can perform multiple attacks. Throughout the course of the game, you will also gain access to mythical monsters, so keep your eyes out for that. Similar to ‘Boom Beach’, you need to upgrade the various structures within your base and defend it from oncoming attacks. On the contrary, you are also able to invade enemy bases and the battering rams in the game do a good job of this. ‘Armies and Ants’ is a fun little spin-off on the base management and construction sim where you need to maintain and build your colony while collecting powerful heroes. Each of the heroes in the game has special abilities and their own skill tree so a certain level of investment is required. At the heart of your colony is the ant queen whom you need to defend at all costs. The game requires you to form alliances with your friends and then take part in team based strategic combat for takeover of bases. Alliance is an extremely important aspect of this game and hence a few good friends are needed for progression. However, if you don’t happen to find friends online to play along with, then there are single player missions in the game, which award quite handsomely. So the developers have made it quite sure that you always have a motive to come back to the game. 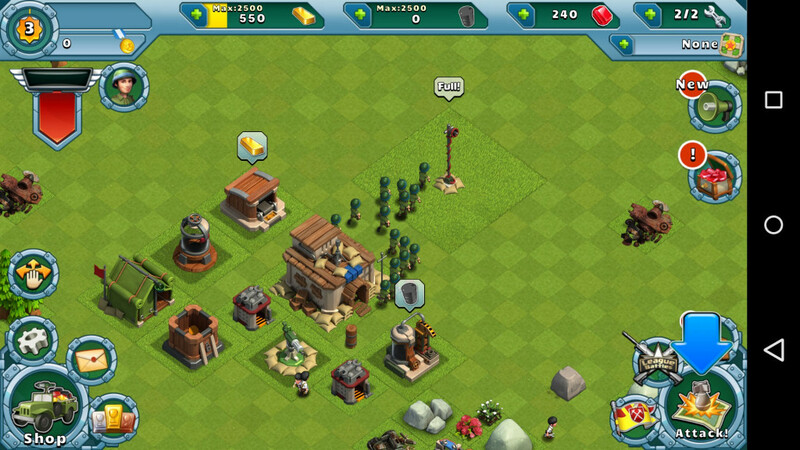 The building and construction mechanics are quite similar to ‘Boom Beach’, so you will find yourself familiar to it. ‘Friendly Fire’ is a military camp and defence simulator where you are required to start a military camp and then upgrade it to contain the best of the troops available to you. There are various buildings available to you at the start and upgrading each of these provides you with experience. As you level up using the experience, all other buildings become available to you, which you can use to train more powerful troops. The defences of your camp also need to be managed so that attacking enemies are not able to take it over. These mechanisms are pretty similar to games like ‘Boom Beach’, so if you have those, you will definitely be able to get the hang of things quite easily. Alliances are also important to the progression of the game because some of the events and raids in-game requires a full team of players. So it definitely helps when you have a team going. However, be prepared to invest some serious time in the game if you wish to progress. ‘Boom Beach’ fans will find a lot of common mechanics with this game, so you can check it out. ‘Star Wars Commander’ is a free to play strategy game developed and published by Disney for android, iOS and Windows PC platforms. The game is known for its squad based gameplay format, where you need to team up with your friends in order to engage in combat. Though the game play mechanics of the game are not exactly similar, still this appeals to a lot of ‘Boom Beach’ and ‘Star Wars’ fans, so we decided to throw it into the bunch. The game sees you playing with some of the most notable characters in the franchise, namely Luke Skywalker, Anakin Skywalker, Han Solo and Darth Vader among others. There are base building aspects of the game where you are required to build and maintain your own bases while defending it from attacking enemy troops. As you keep winning battles, you earn medals in the game that defines your position in the leaderboard and this is also is used in choosing your opponents. This ensures that you are matched against opponents of your own power level and not get completely demolished by your opponents. So we are back with the zombie theme again. 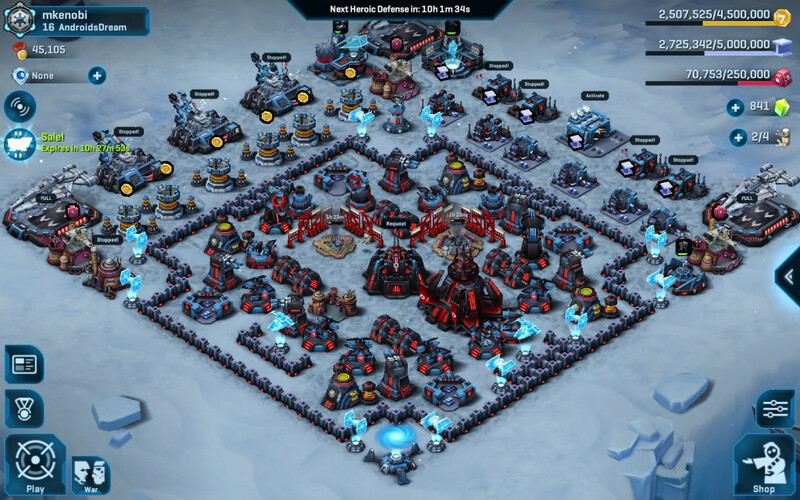 ‘X-War’ is a game that allows you to build a base and defend it against a horde of zombies. The game provides you with a basic set of buildings at the beginning and these can be upgraded so that their attributes can be increased. These are important as the zombies scale up with your power levels and require higher level walls to protect against them. The clan systems in the game are set up in such a manner that the more players you have in your active clan, the more benefits you reap. There are over 50 heroes for you to collect and evolve, so it requires quite a bit of time investment. A mode in the game called the zombie challenge allows players to take part in quests that allows them to take over castles and fortresses. The gameplay aspects are quite similar to that of ‘Boom Beach’ and ‘Clash of Clans’ and the game can be called a mashup of the two games. The main motive in the game is to save Dr. X, and if you manage to do so, he will help out with your base. ‘Battle Glory 2’ is the sequel to the popular ‘Battle Glory’ that was released for android and iOS devices. The game is known for its multiplayer aspects and allows you to form clans with your friends in order to compete with friends. 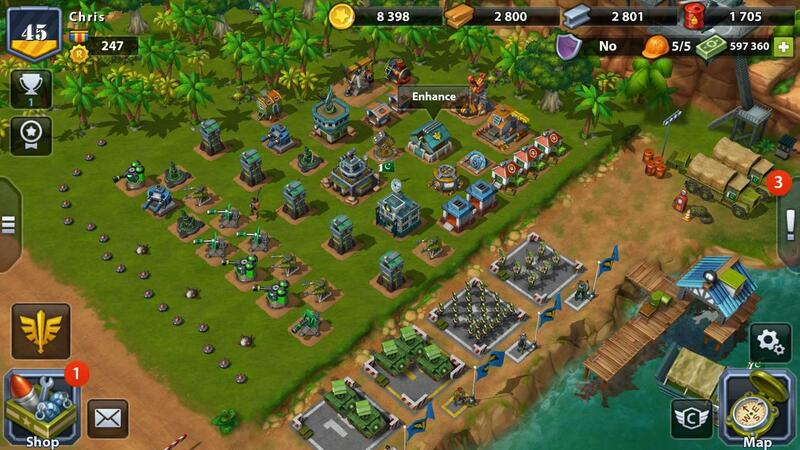 Similar to ‘Boom Beach’ you are required to build and maintain a base with relative defences. There are time based events that you can take part of but requires you to log in to the game at specified times. It gets quite addictive at the later stages and we found ourselves setting alarms at odd times at night in order to meet raid times. It is quite popular among fans of the genre due to its addictive nature and the depth of its gameplay mechanics. The sequel is quite well received by the fans of the genre and hence sees a lot of traffic. The social mechanics of the game are also on point and allows you to connect with lot of new people. There is a world chat option as well as a room chat option. If you are looking for a social experience, then this is the game for you. Feel like controlling a whole sprawling city? ‘War Rage’ lets you build a whole city out of a basic town! At the end of the game, you are able to build your town into a whole trading and military containment. 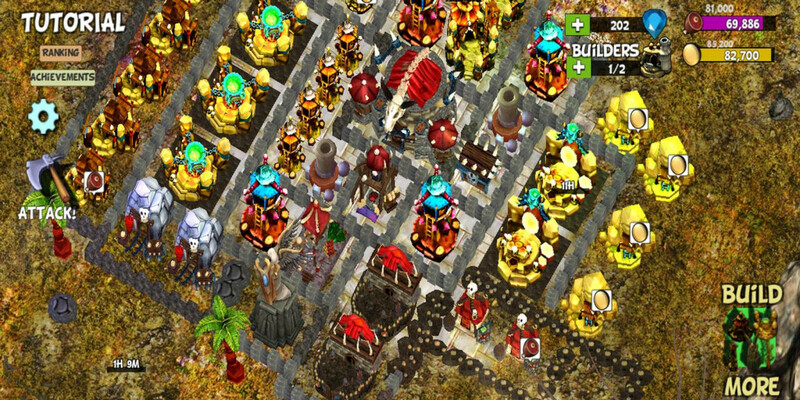 Troops are very important from the start of the game and you need to use all the resources available to you in order to upgrade the various structures. Clans also play an important aspect in the overall gameplay, as having friends really do help out. If you like playing ‘Boom Beach’, then you will definitely love the experience provided to you by this game. ‘War of Beach’ is basically a clone of ‘Boom Beach’ and places you in a archipelago of islands where you are required to build and upgrade your bases. It is presently available on android and iOS devices, so a whole lot of playbase can be expected. Upgrading the various skills in the game and build a civilization from the start is the main aim of the game. It is multiplayer only, so keep that in mind when you download this game. It is completely free to play, but there are in game transactions, so a certain amount of administration is recommended when handing this over to your kids. ‘Army of Heroes’ is a mashup of collectible heroes and base management games where you are required to collect heroes that have special abilities and use them to defend your base. 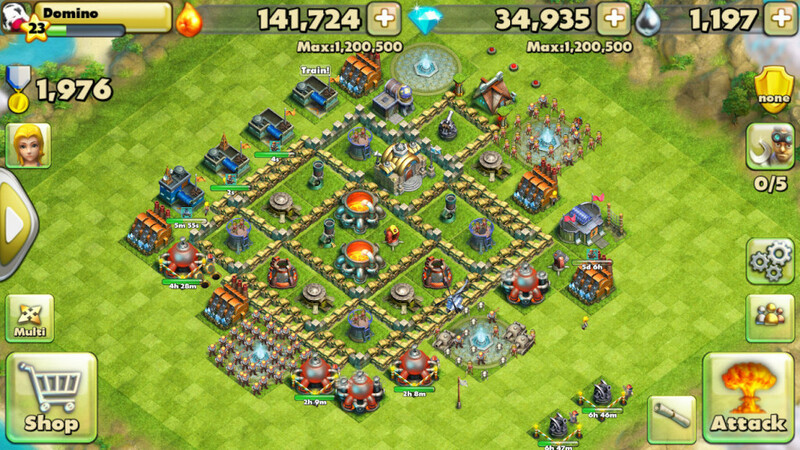 You are also able to build and upgrade the buildings in your base so that they are able to produce better troops, and this is the main aspect of the game. There are clan based mechanics as well where you are able to take part in co-op activities to take over enemy bases. Key locations in the map also provides the player with extra resources so if you are able to take them over, it provides you with an advantageous position in the gameplay. If you liked playing through ‘Boom Beach’, then you will definitely like playing through this one. 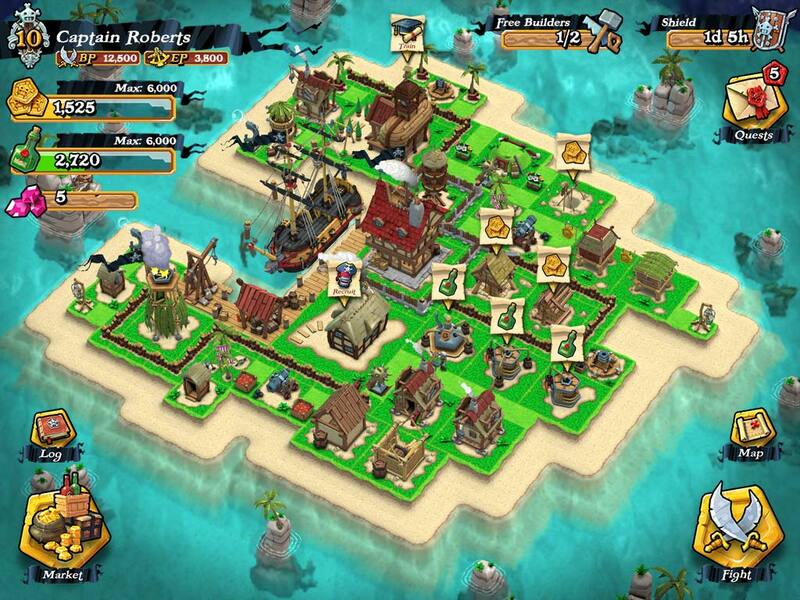 ‘Plunder Pirates’ is a pirate themed MMO inspired by games like ‘Boom Beach’ and ‘Clash of Clans’. It is developed and published by Midoki for iOS and android devices. The main aim of the game is to recruit and train pirates in order to explore the ocean and search for loot. You need to build and upgrade your defences to protect your loot from your enemies similar to ‘Boom Beach’ and ‘Clash of Clans’, but you are able to change the camera angles of the game since it is full 3D.